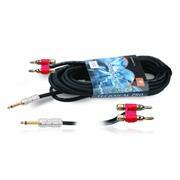 * Available in 12 and 16 gauge speaker wire. * Available in 12' 25' 50' and 100'. * With true enhanced performance.